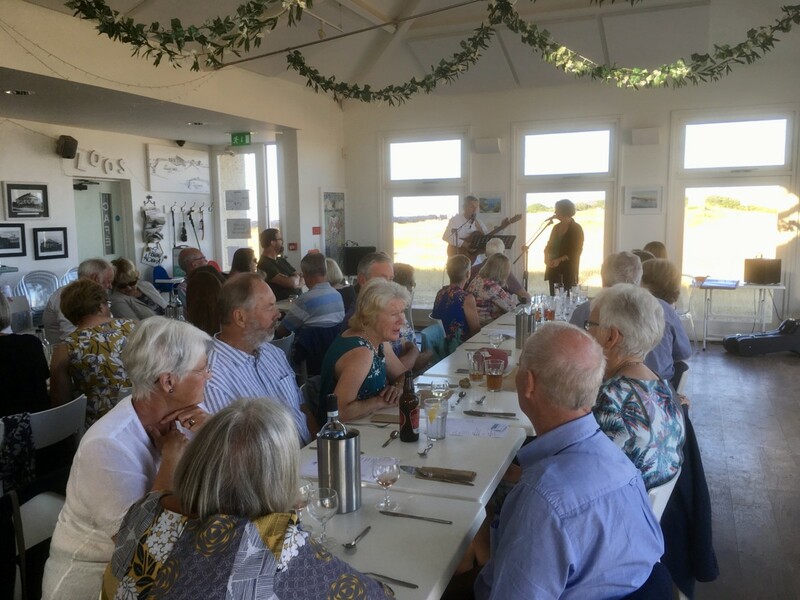 This month has been a busy one of FoBL with three events taking place. 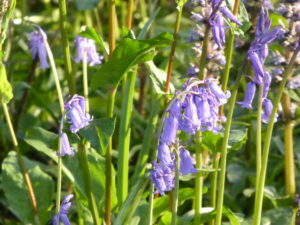 The first was a walk with Mike Langman on Ideford Common to see nightjars and glow worms. As always with Mikes walks, those who went enjoyed his incredible capacity for hearing the many different birds to be found in such special localities and a good time was had by all, despite the absence of the glow worms. If you have never tried one of these walks before they are to be recommended and you will be made most welcome. 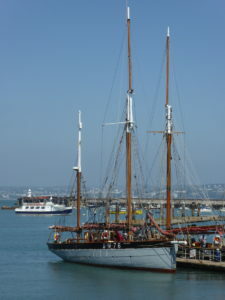 Our annual trip on the Brixham Trawler ‘The Vigilance’ was once again enjoyed by those who went. 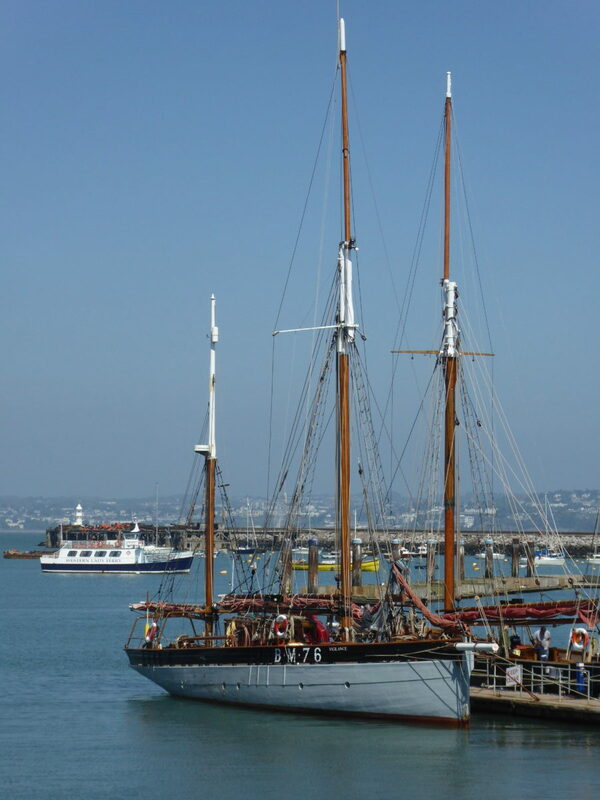 We become so used to seeing the several heritage vessels moored down on the heritage pontoon that it is so easy to forget how lucky we are to have more than one survivor to remind us of our fishing heritage. Our AGM was held on 17 July, with over 30 members being in attendance. Minutes of this meeting along with reports from the Chairman and Treasurer are available on request from our new Secretary Eunice Dodd who has stepped down as our Treasurer. After a very successful meeting, the evening continued with a talk on his adventure to Mull by local Historian John Risdon. Accompanied by some wonderful photos from his visit we were all transported to that far off place and the very different world that he visited, described so vividly by John. Our thanks once again for his continued support for FoBL and all that he does for us. While FoBL takes a break from its activities and events over the August recess, things are still happening which may be of interest. Once again, all libraries Torbay & Devon are participating in this year’s summer reading challenge. Along with several FREE special library events in Brixham Library, this is an opportunity for your children and grandchildren to really get involved. Children can read whatever 6 books they like – just as long as they have been borrowed from the library and receive special regards each time they finish a book. On completion of the challenge they will receive a certificate which will be presented in school by library staff. Once again FoBL has donated prizes and the winning names will be drawn in September. Can you identify who these unruly people are with Mr Cosmo at the recent launch of ‘Mischief Makers’? Our next First Friday of the month coffee morning takes place on Friday 3 August between 10.00am and 12.00 noon. These are proving to be very successful and a great way to meet up with friends; enjoy coffee and cake and visit the library too. All are welcome so do drop by and put this date in your diary. Finally, with the success of our health walks on a Monday morning and a Tuesday afternoon we hope to start some Dementia Friendly Walks once a fortnight on a Friday morning, starting at 10.30am on Friday 3 August for a stroll around the harbour and finishing at the Brixham Steam Packet’ ‘Chart Room Café’ should anyone like to takerefreshment there. It is hope that anyone is suffering with early stages of dementia will enjoy coming along with their carers to enjoy a walk on the flat with stopping points along the way if required. For further information about children’s activities during August, FoBL events coming up in the autumn or details about the coffee morning please ask in the library or phone 01803 853870. For further information about the dementia walks please see the information below. This last week of June was a busy week for FoBL. On Wednesday evening they met at The Guardhouse Café on Berry Head for an evening with local duo Chris & Paul Woodhouse otherwise known as ‘Folk Inspired’. Once again, some fantastic food was provided by Alex Foley and his crew. This popular event has become a firm favourite in the FoBL calendar and now in its third year, expectations were well and truly satisfied. As the evening finished the sunset over Berry Head and the surrounding sea was another reminder of the beauty of the area we all call home. 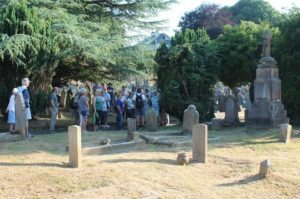 Last Friday evening over 50 people gathered together at St Mary’s Church to find out more about the history of the churchyard and some of its inhabitants, the flora and fauna and then went for a guided walk around the inner parish. With insights into the history of the ‘Gillard’ family and the changes around the church of St Mary’s, it was a reminder that evidence of the past is still very much to be seen in our lovely buildings. These really do have their roots or should I say foundations in Saxon times and reflect the changes and gentrification over the years. Over the last year, every Wednesday and Saturday morning a growing number of volunteers have been researching the gravestones in the churchyard of St Mary’ Church, Higher Brixham. The Friends of Brixham Library through a lottery grant entitled ‘Cow Town, St Mary’s Churchyard Project 1850 – 1900’ have been busy identifying names and dates on over 7,000 headstones, the details of which were lost were lost in the Exeter Blitz during World War II. The results of all this activity is to provide a new record which when completed will be available in due course in St Marys’ Church, Brixham Museum and in Brixham Library along with a free accessible record on the internet. As information and photographs are collated this will provide detailed records of those names identified and about the lives that they lead rather than just a list of names. The project still has a further year to go. So, if you have an interest in finding out more and wish to help whether it be that you have an interest in your own family history; a general interest in the history of the parish of Higher Brixham or just in the work being undertaken please contact Brixham Library, Market Street, Brixham, TQ5 8EU, tel: 01803 853870 or checkout the projects Facebook page. On Saturday afternoon and two FoBL members kindly offered to provide an afternoon tea in their garden overlooking the town. Set in the heart of Brixham, this oasis of calm and peaceful is hidden from the hustle and bustle below. Once again, FoBL members turned out for this fund-raising event to help provide some comfortable chairs for library events. 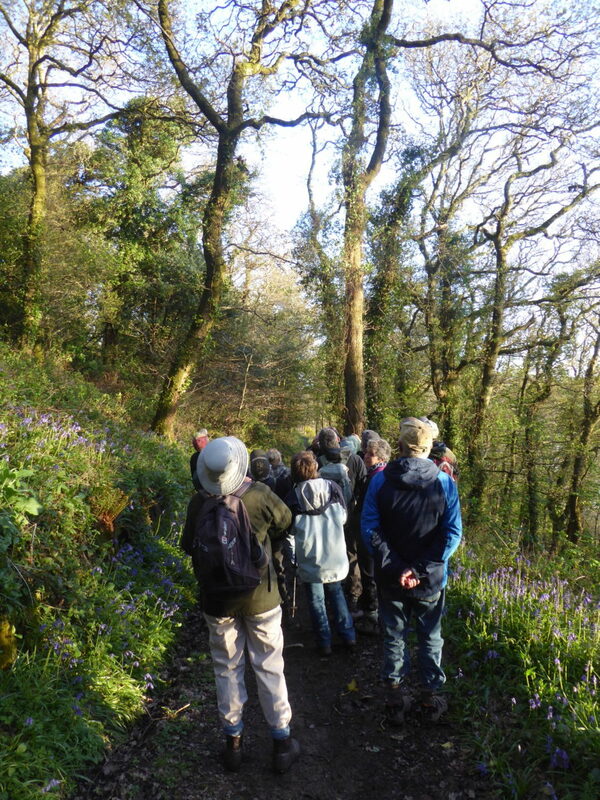 Forthcoming events in July include an evening bird watch on Ideford Common with local ornithologist Mike Langman; a morning trip on the Brixham Trawler ‘Vigilance’ and at the FoBL AGM, a talk by local historian John Risdon on his recollections of the north of Mull. 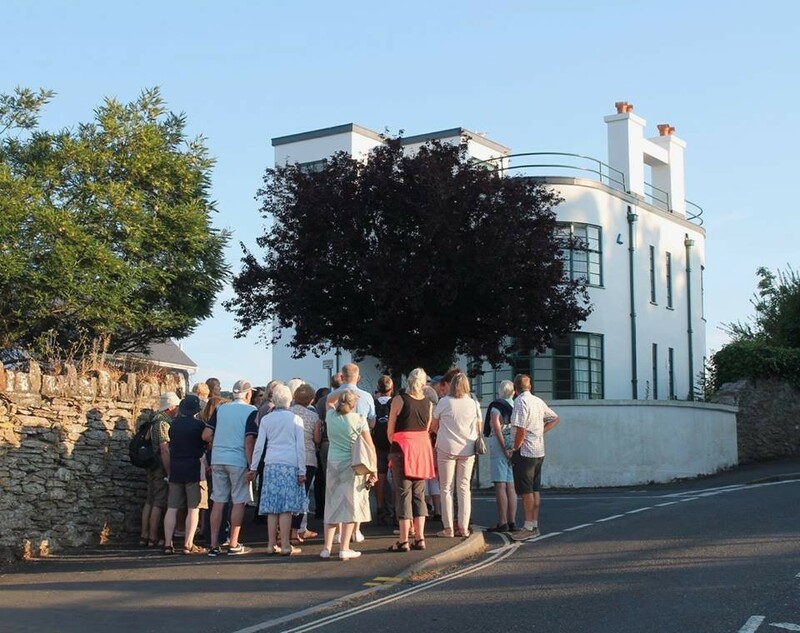 If you would like to know more about becoming a member of FoBL or about their events please contact Brixham Library, Market Street, Brixham, TQ5 8EU or tel: 01803 853870. On Wednesday evening (25.4) a small group from the Friends of Brixham Library lead by Mike Langman, did a walk through Long Wood, near Noss Marina. 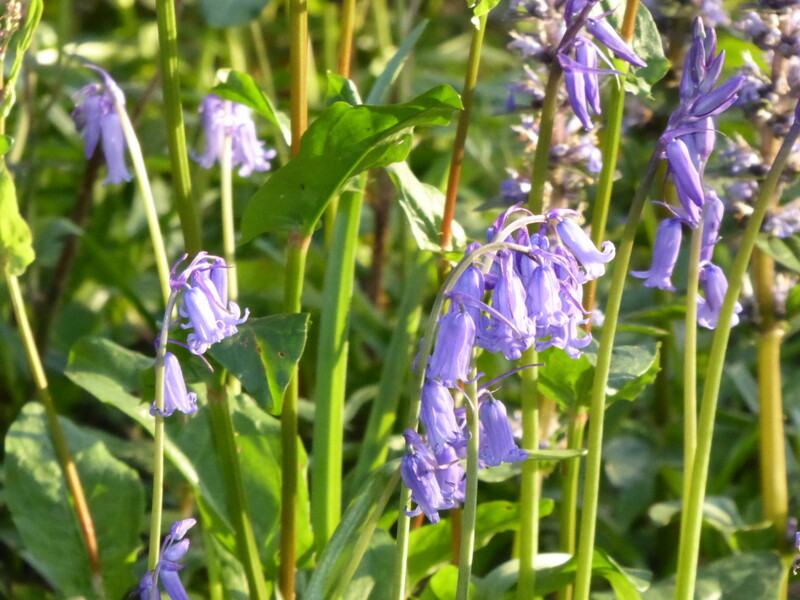 The path took us through a carpet of bluebells still waiting to show themselves at their best but looking so beautiful under the impressive oak hanging on the side of the Dart Estuary. Mike frequently stopped to point out the many songs of the bird population from robins to blackbirds and black caps to wrens in their ‘dusk chorus’. Of special interest were the Goldcrests and Firecrests, the latter only recently discovered in this local habitat. the group were also entertained to an aerial display from four buzzards as they took advantage of the evening thermal currents. 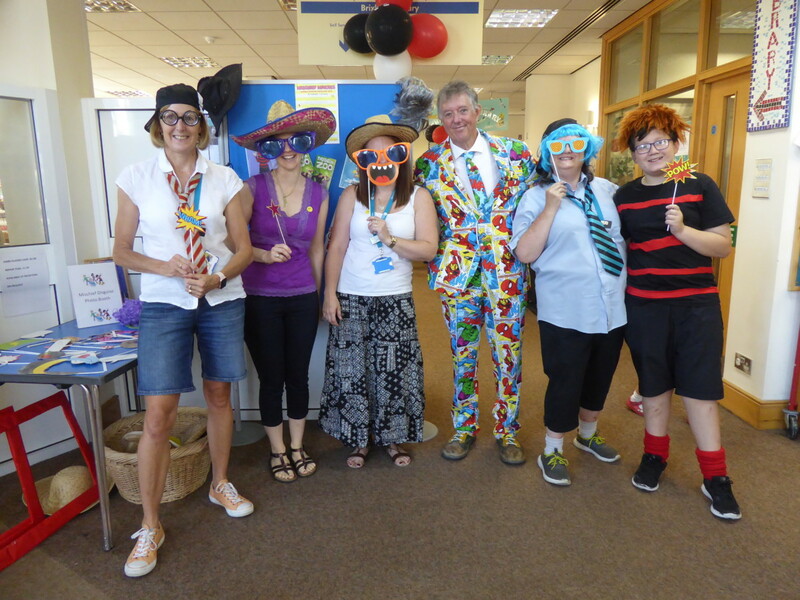 Bob Clark, Executive Head of Information Services, Torbay Town Council has provided the following update on the contract with Libraries Unlimited, who are now operationally delivering the Torbay Library service. Torbay Libraries are entering into an exciting new chapter as Devon-based charity Libraries Unlimited takes to the helm to run all four libraries on behalf of Torbay Council. As of 1 April 2018, Libraries Unlimited is responsible for running the libraries in Torquay, Brixham, Paignton and Churston through a five-year contract with the council. Torbay Council and Libraries Unlimited have been working closely together over the past few months in the run up to the handover, and library staff from across Torbay become employees of the charity from 1 April 2018. All four libraries across the Bay will remain open with the same opening hours and will be professionally staffed. 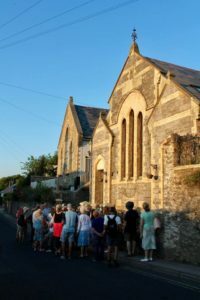 Libraries Unlimited were appointed as the preferred provider late in 2017, due to their experience of successfully running Devon Libraries on behalf of Devon County Council, and their national reputation for innovation. 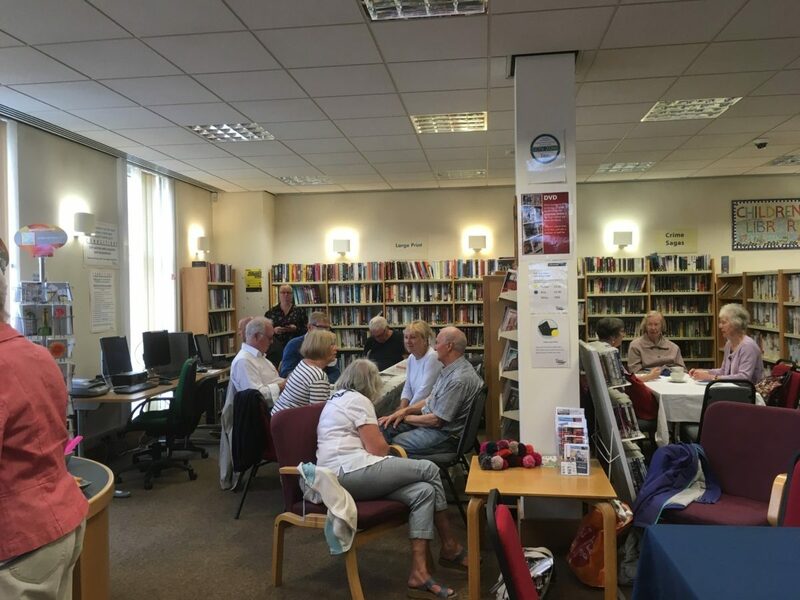 They will be bringing their community focused services, digital inclusion, health and wellbeing offering to Torbay Libraries, as well as offering access to a wealth of information and resources. Libraries Unlimited will continue to work closely with the council to ensure all existing services continue to operate smoothly over the next five years. 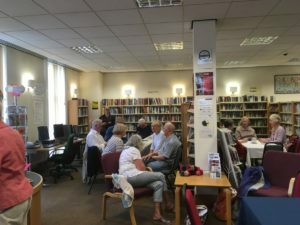 Over time, the charity aims to implement a more integrated library service that will offer extended services and resources, for both Devon Libraries and Torbay Libraries users. To find out more about Libraries Unlimited visit www.librariesunlimited.org.uk, follow on Twitter @LibrariesUnLtd or on Facebook.com/LibrariesUnlimited. The Library Coffee Morning is the place to be!! On the first Friday of every month, The Friends of Brixham Library are now holding a coffee morning. As a regular fund raiser, everyone is welcome between 10.00am and 12.00 noon with coffee or tea being served and cake and biscuits too. So why not pop your head around the door; arrange to meet up friends or relatives there or perhaps go along to make new friends too. At the same time, it is a wonderful opportunity to look for a book, borrow a CD or DVD for the weekend or just enjoy using the library for a quiet morning browse. 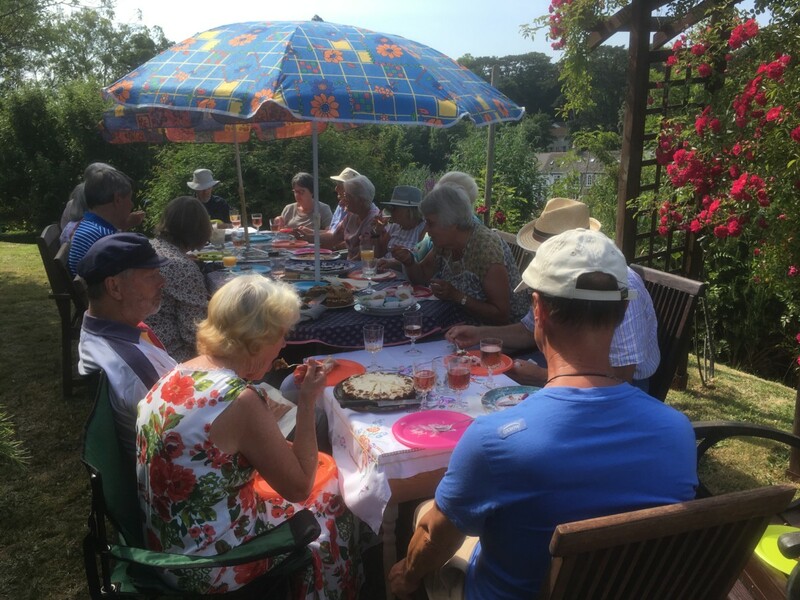 Chairman of the Friends, Alasdair Anderson, said ‘our coffee mornings have been a great success with lots of people turning out to enjoy a natter over a cup of coffee. The library makes a great stop off place if you’re out in town shopping and a great place to arrange to meet people too’. So why don’t you make this a regular date in your diary? We are pleased to advise that FlourFlower at 40 Middle Street will be offering on Tuesdays only until 12 midday, 2 small coffees or teas with the lower priced one being free. They join the following list of shops offering a discount to loyalty scheme members. The Guardhouse Café, Berry Head.